'New York Times' bestselling author Rob Bell shows us how to discover the greatness we were born for, successfully pursue our dreams, find our path, and live confident, fulfilled lives. 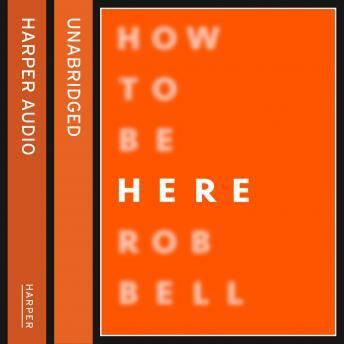 Rob Bell believes that each of us has a path, a calling-whether it's writing a novel, starting a business, joining a band, or simply becoming a volunteer. But many people are afraid to start on that path. Who are we to do that? Bell counters, Why not you? We need to learn to turn off the internal and external critics and leap. The universe is alive to help us. And we can only discover passion and joy after we take off. Interweaving engaging stories; lessons from Biblical figures; science, art, and business; honest personal experience; and practical advice, he offers invaluable insight on how to silence our critics, move from idea to action, take the first step, find joy in the work, persevere through hard times, and surrender the outcome. Combining the practical inspiration of Stephen Pressfield's 'The War of Art' and the warm instructional insight of Annie Lamott's 'Bird By Bird', 'Yes, You' encourages us to leave boring behind and embrace the fulfilling lives we are meant to have.